Catharine Valentine of Fishkill, N.Y married Matthew Vassar in 1813 and, as Vassar recorded in his diary, he rented "part of a tenement for the sum of $40" and was roundly rebuked by his father for paying too much. It is difficult to find out much about the life the two Vassars shared, as Matthew Vassar mentions his wife only once or twice in his diary. She accompanied him, and his secretary, Cyrus Swan, on a trip to England and the continent in 1845, but Catharine essentially let Swan and Vassar do the traveling after they got there. In a retrospective article about the life and times of the Vassars published in the Poughkeepsie Eagle between October and December, 1915, the journalist Cooper, son of Vassar's doctor, viewed his family friend, "Aunt Catharine," with affection, as a home-body who stayed completely out of the public eye. Her gregarious husband travelled widely around the country, going for example to Newport for summer vacations; Catharine stayed home, and she seems not to have participated in Poughkeepsie society. Vassar employed a housekeeper to preside over his table and help him entertain. In 1859, in quest of property on which to build his college, Vassar purchased the former Dutchess County Fair grounds site from William Davies. 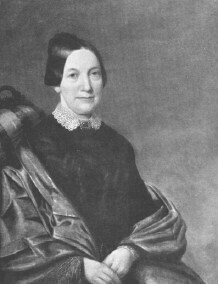 We are offered a bit of insight into women's rights at the time in learning that Catharine Vassar appeared along with her husband before a judge in the courthouse in Poughkeepsie that year and was taken into a separate chamber and asked if she had any objection to the purchase. No objection was recorded. We have no record, on the other hand, of any mention on her part of her husband's interest in founding the college. Catharine was apparently an invalid for several years before her death, which occurred at Springside, the Vassar summer residence, in 1863.